Your Key to Great Storage! Lock-er Room Mini Storage offers the best personal and commercial storage to suit your needs. We're conveniently located right off of the PA Turnpike, a short distance from Ephrata and Denver in Lancaster, PA. 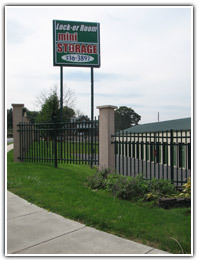 Whether you're looking for personal or commercial self-storage, or even motorcycle or car storage, you can count on Lock-er Mini Storage for the best storage units in Lancaster. Serving your storage needs for over 25 years.